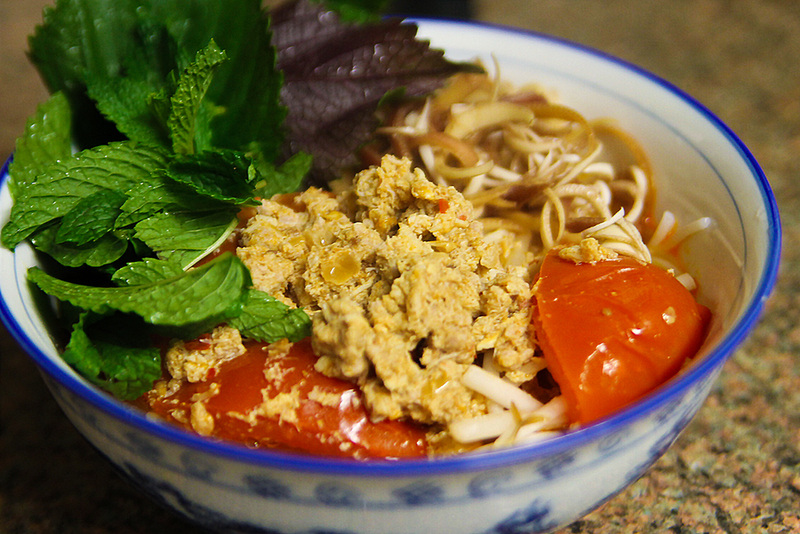 Bun Rieu is one of my favorite soups to make, because it is so simple and easy to whip up. I’ve made this on a weeknight before, but it’s usually a weekend recipe since it does take a little bit of prep work. There’s a lot that goes in this recipe, but don’t let the recipe list overwhelm you. It’s very simple. It basically consists of two steps – making the pork broth, and adding the rieu mixture to the soup. I buy pork broth at the Asian market, but you can also use chicken broth if you prefer. The authentic Vietnamese version uses pork, though – since pork is an important staple in Vietnamese cuisine. We eat a lot of pig! Some people make their pork broth from scratch, but I think that’s way too time consuming. If you can find it, you should buy some annato seeds to make annato oil. This will help redden the sauce at the end. I couldn’t find it at my local Asian market, so I used tomato paste instead. It did the trick, but annato seed oil works much better! Hi, I’m trying to make this recipe but I can’t find the minced crab in spices. Is there a substitute for this? Hi Nadine, I’m sorry I didn’t get back to you in time. The minced crab in spices is really essential to the dish. You should try to find an Oriental or Asian store near you. Every single Asian market, even the tiny ones, will carry it. 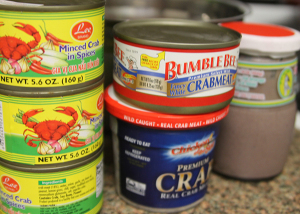 There are several brands, but the can will say Mince Crab in Spices (Gia Vi Cua Nau Bun Rieu). Thank you for posting up the recipe! It tastes (almost) like my mom’s one! My family loves this! Minced Prawn in Spices is a good substitute. Worst comes to worst, you can buy it from Amazon.